What was once inconceivable is now reality. Introducing the first one day TMS implementation. 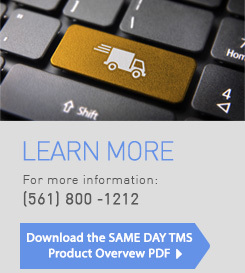 Cloud Logistics now offers its Same Day TMS program designed to allow shippers to start shipping – and saving – the day they start the project. By leveraging rapid configuration methodologies, a broad network of carriers and a user interface described as “highly differentiated”, Cloud Logistics allows customers to have what was once inconceivable: a one-day TMS project. © 2015 Cloud Logistics - Visit us at www.gocloudlogistics.com for more information.